I am putting away clean dishes from the dishwasher and the light flooding the kitchen made this amazing pattern before me. I love these sorts of beautiful surprises! 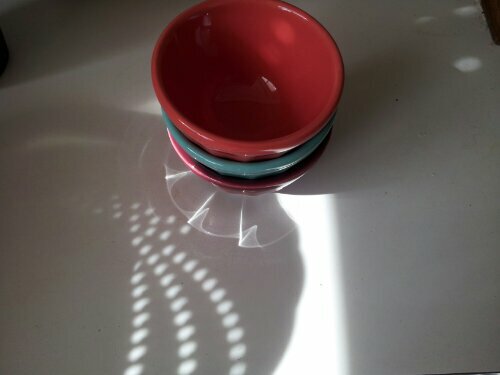 Tags: Anthropologie, bowls, colors, light, photography, surprise. Bookmark the permalink.